US payments firm Stripe is adding support for Alibaba’s payments service Alipay, helping its businesses reach more customers in China, where e-commerce is on a rising trend. This also comes as the Chinese e-commerce juggernaut Alibaba seeks to make Alipay a mainstream option as part of its efforts to eventually take its consumer business global, particularly to the West. Stripe is one of the largest companies of its kind, having raised over $120 million in funding — and businesses in 14 countries are using it as part of their infrastructure to sell to customers all over the world. This agreement will see Alipay reaching customers who shop on Stripe businesses after enabling the option in your dashboard. Stripe has also taken steps to ensure that paying with Alipay is a fuss-free process for customers. Traditionally, paying with Alipay would bounce customers off to a different site. 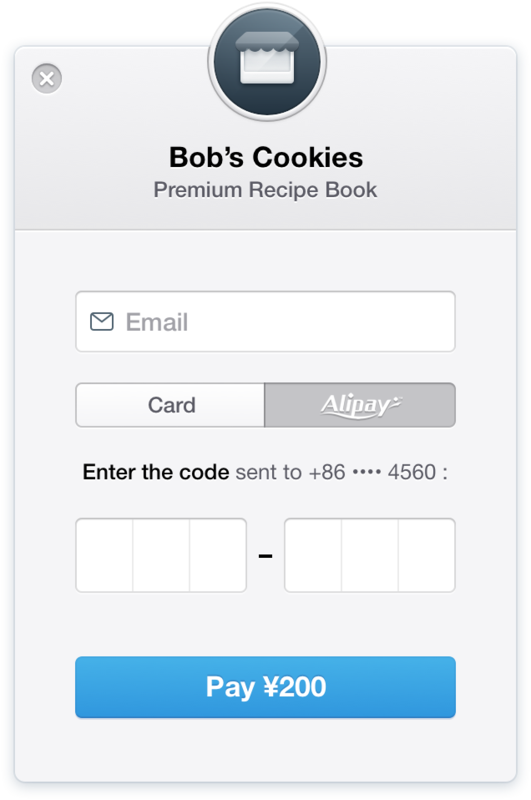 But on Stripe, Alipay users can just enter their email address and a six-digit code while checking out. About 1 billion people hold one of the cards that Stripe supports today, but these card brands see little usage in China. Alipay, on the other hand, is used by hundreds of millions of Chinese consumers. We’re building a universal platform for internet commerce; in order to enable China’s 1.3 billion people to buy from Stripe businesses, we decided to add support for Alipay. As we noted before, other than enabling overseas merchants to reach Chinese customers with spending power, bringing Alipay global also means that Alibaba will have heightened awareness of its offerings that can be used to smoothly set up its own overseas consumer-to-consumer business. Already, Alibaba’s first online shopping site in the US, 11 Main, recently made its debut in private beta.